This micro-report describes the approach taken to developing and implementing the Green Line Recognition Scheme. It describes the development of the concept and the operation of the scheme. It also sets out the benefits that have resulted from implementing the scheme and some of the lessons learned, and provides feedback from projects who took part in the scheme. This document may be of use to Clients to promote positive environmental behaviour of their project teams and principal contractor(s) on a construction project, and for Principal Contractors in turn to promote positive environmental behaviour in their supply chain. During the passage of the Crossrail hybrid bill through parliament, the Crossrail Environmental Minimum Requirements (EMR) were negotiated with various stakeholders including local authorities, statutory bodies and others. The purpose was to provide reassurance to stakeholders as to the extent of the actual impacts of the design and construction of Crossrail. Of particular relevance to environmental impacts was the Environmental Memorandum, the purpose of which was to ensure that the design and construction of Crossrail was carried out with due regard for environmental considerations and the Construction Code which had a particular focus on the construction phase of the project. The requirements in the EMR were set at current industry best practice in 2008. Crossrail also set an aspirational environmental vision of ‘Setting the standard for environmental performance and leaving the legacy of a sustainable railway’ with the aim of encapsulating the aims and direction of environmental management within the Crossrail organisation. The vision was developed through a number of staff focus groups, the findings of which were fed into two top management workshops where the vision was developed. 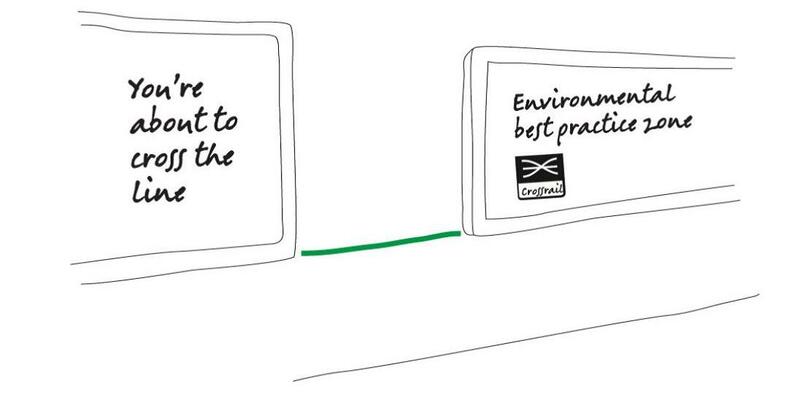 In order to deliver the demands of the EMR and the environmental vision, Crossrail realised that it needed to work with its staff and contractors to jointly develop a commitment to fundamental behaviour change in the management of environmental impacts. Create a sense of ownership of environmental issues. The scheme commenced in September 2011 and was operational during the main civil engineering phase of the project until September 2016. The scheme was then revised to reflect the different attributes of the systems fit out phase of the project. This paper was written in 2016 and covers the operation of the scheme in the civil construction phase. The Green Line Recognition Scheme was undertaken alongside other environmental assurance methods. Crossrail developed an Environmental Management System (EMS) to deliver environmental assurance, including mechanisms such as audits, site inspections, processes for reporting and investigating environmental incidents and reporting on a suite of environmental performance indicators. A performance assurance process was implemented which provided a visible and objective assessment of the environmental performance of each of the Tier 1 contractors so that they could be benchmarked against one another. Tier 1 contractors were also encouraged to share information and lessons learned using an internet based collaboration site and at regular fora. However, none of these assurance mechanisms assessed or encouraged environmental behaviour improvements and the Green Line Recognition Scheme was developed to address this gap. Crossrail approached the Managing Directors of Tier 1 contractors to identify someone from each of their organisations to work with Crossrail to develop the scheme. The aim of this partnership working was to achieve buy-in and support of the scheme from the outset. Consultation within Crossrail was also a key element allowing a different range of staff in the organisation, including senior leaders to influence and support the scheme. This consultation identified a number of key criteria that were considered to be critical to the success of the scheme. Flexibility – It was recognised that a heavily-prescribed campaign of behaviour change would be too stifling to the varied population of Tier 1 contractors and that there was also the danger of competing with (or conflicting with) existing contractor in-house initiatives. The scheme therefore needed to allow flexibility in implementation so that it could be tailored to individual circumstances rather than be overly prescriptive. Simplicity – Taking into consideration the demands of the Crossrail programme, there was a concern over the amount of time taken to apply and implement the scheme. It needed to be simple, easy and effective. Ownership – The scheme needed to encourage staff to take ownership of environmental issues, rather than completing a box ticking exercise. It needed to allow teams to develop their own responses to reflect local conditions, strengths and weaknesses. Reward based – The Crossrail project already had a number of mechanisms for inspecting, auditing and checking performance and addressing areas of non-compliance. Since the aim was to encourage contractors to go beyond the normal requirements and to change fundamental behaviour, the scheme needed to be based on reward rather than penalty to encourage improvement. Visibility – The scheme needed to provide a constant and visible reminder to staff of the importance of adopting positive environmental behaviours. High Standard – It was deliberately decided to make the award of the scheme ‘worth having’ and to set the bar high to encourage everyone to reach high standards. Collaborative – It was identified that Crossrail needed to focus efforts on encouraging not only our own staff, but also crucially our partners and contractors to be the best they could be and for this to be implemented in a collaborative manner. Continual improvement – The scheme needed to encourage continual improvement over the lifetime of the Crossrail project. The Green Line Recognition Scheme was developed to meet these criteria. It was aimed at the projects within the Crossrail programme which were tasked with delivering a defined scope of the Crossrail works (e.g. construction and fit out of a station or shaft) and which comprised a team of Crossrail staff and a Tier 1 contractor. The aim was to encourage collaboration between client and contractor staff to achieve the award. The scheme’s approach was to challenge each of the projects to reach a specified standard for environmental engagement and to provide reward and recognition once that standard was achieved. The scheme set out criteria which the contractor had to meet but they were allowed flexibility in the approach taken and the evidence provided. The standard was set deliberately high, requiring compliance with Crossrail’s demanding contractual requirements as a pre-requisite before going on to demonstrate further activities to promote behaviour change. The aim was to drive continual improvement by encouraging projects to strive for excellence and by recognising and celebrating their success. The aim was also to provide support and guidance to the projects in order to meet the standard. 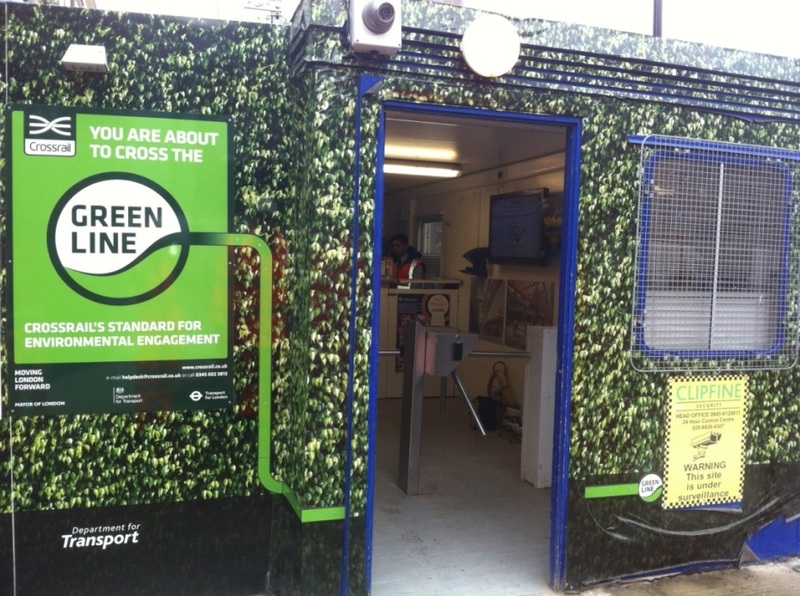 To provide a visible symbol of best practice, a physical green line was provided at the entrances to the sites, to denote an ‘environmental best practice zone’. The operation of the Green Line Recognition Scheme was set out in a Guidance Note that was issued to projects and is summarised below. 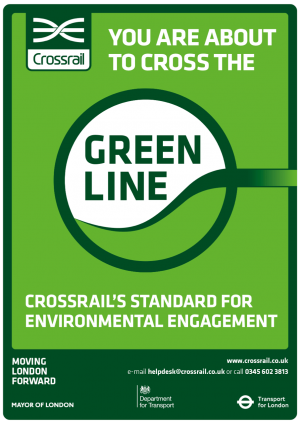 Compliance with all of the Crossrail contract environmental requirements for environmental management of the construction works (as set out in the Works Information) was a pre-requisite for application for Green Line Recognition. This was assessed through Crossrail’s Supplier Performance Process . The recognition scheme assessed a project’s environmental behaviour initiatives against a number of criteria and if successful, the Green Line was awarded. A key part of the scheme was that all projects were required to demonstrate evidence of behaviour change before they achieved the Green Line award. The criteria are set out below with examples of how they were achieved by projects. A project had to demonstrate sufficient evidence for each criterion to meet the requirements and may have used a number of different examples. This is shown in more detail in the supporting document Example Green Line submission. Buy in from leadership and their regular involvement. Project managers attended meetings with Local Authorities to discuss noise issues and Project managers/directors carried out leadership site tours that demonstrated inclusion of environmental issues. Stretching environmental objectives and targets set and visibly communicated and progress monitored. Projects demonstrated they were going beyond the Crossrail contract by setting stretching environmental targets, increasing environmental site presence and introducing campaigns to make environmental issues more visible on site e.g. pollution awareness. Regular management reviews were held to review progress. Regular inclusion of environmental issues in site decision making. “Environment” was added as an agenda item at all meetings. Sites demonstrated inclusion of environmental risks e.g. noise was considered in construction planning meetings and alternative methods explored. Relevant environmental issues communicated at all weekly and daily briefings. Daily ‘SOS’ (start of shift) briefings were held to highlight environmental items, incidents and near misses. Regular Toolbox talks were carried out with sign in sheets of operatives completed. Recognition and timely reporting of environmental incidents and near misses. Incident workshops and surgeries were held to explain near misses to the workforce. Hazard spotting exercises and spill drills were undertaken with the workforce. Environmental reward scheme implemented. Free breakfasts were provided or vouchers offered for the best environmental observation that month on some sites. Champions scheme implemented. Specific champions (such as waste or noise) or more general environmental champions were appointed. Champions were provided with formal appointment letters and formal training was held. Surveys of staff awareness were undertaken combined with targeted campaigns on areas where knowledge needed improvement. A reduction in serious environmental incidents on site was reported with the associated increase of near miss reporting and observations on site by operatives. A reduction in the number of complaints as a result of a targeted campaign to address vibration on site from use of rollers. The projects were required to provide a submission setting out their response to the criteria (an example submission is provided in the appendices) and an interview with the contractor Project Director and/or Project manager as well as the Project Manager from the client team was held. The interview was an important method of assessing the buy-in and knowledge of the project’s leadership. Discussions were held with any other operatives who were actively involved in environmental matters whether they had specific designation do so, such as environmental champions, or played an active environmental role in the day-to-day execution of their role (these could be anyone – construction managers, supervisors, procurement specialists, logistics managers etc.). The assessments were undertaken by Crossrail’s Environmental Assurance Manager which provided consistency of approach. As the scheme allowed for flexibility of approach, the Crossrail Environment Manager also carried out a final check to ensure that the required standard had been met. On achieving the Green Line a large poster size hoarding component was displayed on the site hoarding next to the entrance and this was linked to a physical green line that was fixed across the floor to the site entrance. The Green Line hoarding provided a highly visible symbol of the need to step up to the Green Line every day. By being so visible it was very clear to every person working on that site, as they passed through the entrance every day that they had something to be proud of in achieving the award as well as to remind them that this was a Green Line site and their best environmental behaviour was expected each and every day. In addition, a Green Line award logo was developed which could be used on the Principal Contractor’s communications material. An on-site ceremony was held with a senior representative from Crossrail management presenting a certificate. There were communications in the weekly e-bulletin, the On Site magazine and the programme leadership briefing pack and also recognition in the Crossrail Annual Sustainability Report and on the Crossrail external website. In addition to the Green Line Recognition Scheme, there was an annual award for environmental engagement as part of the Crossrail Sustainability Awards. Over the 5 years that the Green Line Recognition Scheme was operational, 20 Crossrail projects were awarded the Green Line. A collaborative approach to meeting the criteria was adopted. Crossrail’s Environmental Assurance Manager worked closely with projects to develop their submissions. A kick off meeting was held with the Project team including senior leadership to identify potential opportunities for behaviour change and feedback was provided on initial submissions. 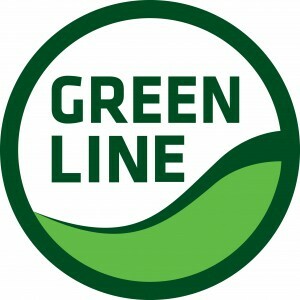 A Green Line library was established to share the best examples of engagement by projects and included examples from each criterion for projects applying for the Green Line to look through and identify those that may be of use on their sites. Some examples used are included as supporting documents. Continual improvement was a key element of the Green Line Recognition Scheme. Six monthly reviews for the Green Line were undertaken. The aim of the review was to ensure that the good practices identified were being taken forward and there had been continual improvement. If continual improvement in engagement was not noted, a course of action was agreed. The ultimate penalty would be to take away the Green Line but the approach taken was to work with the projects to maintain sufficient improvement. There were also rewards for continually improving. Commendations were awarded to recognise exceptional engagement activity. The aim was to develop and implement an environmental behaviour initiative in a chosen topic area. Projects were required to submit a commendation submission – an example is included in the supporting documents. Two projects achieved Commendations. Within the Crossrail organisation as a whole, the scheme assisted with increasing awareness that environmental issues are important. The communications that were issued recognising projects achieving the award under the scheme helped to demonstrate that positive environmental behaviour was considered valuable. Since the launch of the Green Line concept in September 2011, there has been increased environmental performance. Those contractors performing best in Supplier Performance (see legacy paper for further details of Supplier Performance) have achieved the Green Line. Although reaching Compliant in Supplier Performance is a pre-requisite for the Green Line it was identified that those achieving the Green Line typically fell in the Value Added and World Class zones of the Supplier Performance chart. For projects, attaining recognition under the scheme became viewed as an accolade and generated healthy competition between projects. Within projects that attained recognition, there have been benefits for both the Client team staff and the Tier 1 contractors. For the client team the criteria to demonstrate buy in from leadership; include environmental issues in site decision making; and to communicate environmental issues, allowed projects to demonstrate their understanding of the consequence of actions on environmental performance. This is evidenced by interviews with project managers during the process which are included in Appendix 1. One project introduced an environmental moment on their meetings which helped to highlight the importance of environmental issues to all project staff. 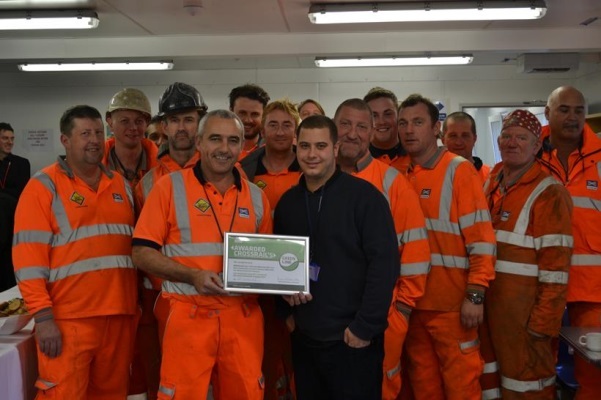 The success the scheme has had in motivating our Tier 1 contractors and the value they see in achieving the award is evidenced by the fact that several of them have used the Green Line Recognition Scheme in their own promotional material. Tier 1 contractors were motivated to achieve the Green Line due to a sense of competition with other contractors who had achieved it but also they felt it was a “good thing to have”. A Crossrail endorsement of their environmental performance was considered valuable because it could be used in future tender submissions. Some interviews discussing the benefits and challenges of the Green Line Scheme with some of the Tier 1 Contractor Environment Managers are provided in Appendix 1. For example, the framework provided by the scheme set out a goal to achieve and encouraged contractors to measure their progress towards achieving the goal, it provided a platform to generate discussion about environmental issues at different levels within the contractor organisation and it helped to generate buy-in and awareness amongst senior management, engineers, operatives and others. All of the Tier 1 contractors interviewed confirmed that they would apply for a similar scheme on another major project. The Green Line Recognition Scheme worked well on Crossrail in the context in which it was developed and in the format in which it was used. Crossrail would encourage any future project to undertake a similar scheme. Further elements that are recommended below could also be included. As discussed in the section above and identified in the Contractor interviews in Appendix 1, gaining Green Line recognition became a valued achievement for projects and there was desire and competition amongst projects to achieve Green Line recognition. However, the commendations were less popular with contractors and for this reason the continual improvement element of the scheme was not as strong as had been originally envisaged. Whilst a number of projects used the scheme as the inception of their own continual improvements on site, this was not driven by the scheme. A form of continual improvement (such as different levels of achievement that were scored) could be built into the core scheme to resolve this. The Green Line Recognition Scheme and the Supplier Performance process were developed in isolation from one another. For a future project there could be more synergy between the two schemes rather than operating separately. For example, the criteria in the Green Line Scheme could be included as criteria in the Environmental section of the Performance Assurance matrix. For each of the criteria, different levels of performance could be clearly defined (for example compliant performance, value added performance and world class performance as defined within the Performance Assurance Framework). This would have the benefit of reducing subjectivity in the decision of whether the project was worthy of the award. It would also reduce the burden on contractors of providing a submission to achieve recognition as it would instead be scored as part of the performance assurance visits. The definition of different levels of performance may also help with driving continual improvement. This idea was supported by the Contractor Environment Managers when discussed with them during their interviews. The scheme could have been more explicit in requiring projects to demonstrate awareness and engagement amongst all of their staff (including the client team and the contractor). For example, an awareness matrix could have been produced which identified and demonstrated for each job role the relevant environmental engagement was being undertaken. Some Environment Managers felt that the scheme could focus more heavily on buy in from senior leadership and require them to undertake more documented joint site environmental inspections with the Crossrail project team and also for the senior management to be required to provide a presentation to the Crossrail team assessing the Green Line application. Similarly, the presentation of the certificate for the Green Line worked best when presented to the whole team (e.g. in a site canteen) and when the presentation was led by the project’s leadership. The scheme worked well for the civil construction elements of the work, but for systemwide contracts where the environmental impacts were more limited the focus has been changed so that there is less emphasis on the demonstration of behaviour change and more emphasis on awareness amongst all staff. A new scheme (the Green Systems Recognition Scheme) has been developed for systemwide contracts. 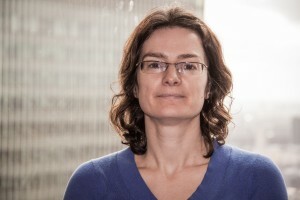 Lorna is the Environmental Assurance Manager at Crossrail. 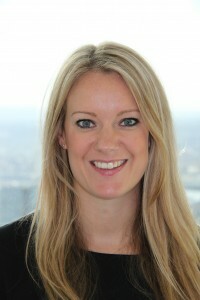 She is responsible for programme wide environmental best practice through various fora such as the Environmental Managers Forum and she is responsible for the promotion of a positive environmental culture throughout Crossrail, through managing and developing the Green Line environmental engagement award scheme. Lorna also provides technical environmental advice to the business, specifically with regards to excavated material, contaminated land and ecology. Lorna joined Crossrail in 2008 as a Principal Environmental Planner having previously worked for Carillion on a number of national building projects and the Government’s Aspire Defence Project.